Thinking of you 🙂 Glad you liked it. Love this, Monica! 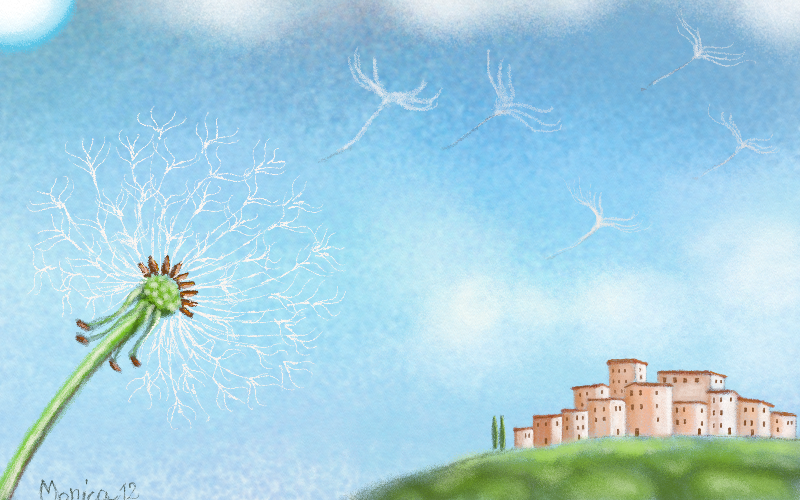 I used to make a wish on dandelions such as this, before attempting to blow the stem clean. If I did get all of the seeds off in one breath, my wish was supposed to come true. I used to do the same when I was a kid! I thought it was an Italian thing 🙂 And, thanks, Rebecca!